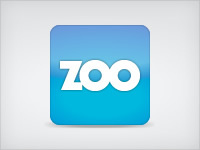 This add-on migrates the Zoo data from Joomla to WordPress. Zoo is a Joomla component that enhances the Joomla features. It replaces the management of articles with the Zoo items. The Zoo items have featured images, a subtitle, a teaser text. They can be tagged and commented (like in WordPress). The items other than articles are imported as custom post types. To manage them in WordPress, you need the Types plugin. It also requires the Types plugin. The Zoo custom fields are not imported. Please check that the config files located in the directory http://www.yoursite.com/media/zoo/applications/blog/types/ are readable from your browser. The plugin needs to access these files to get the custom Zoo custom fields.